If you've played EA SPORTS’ FIFA in any capacity in the past, you've probably also heard of FIFA Ultimate Team, or FUT. 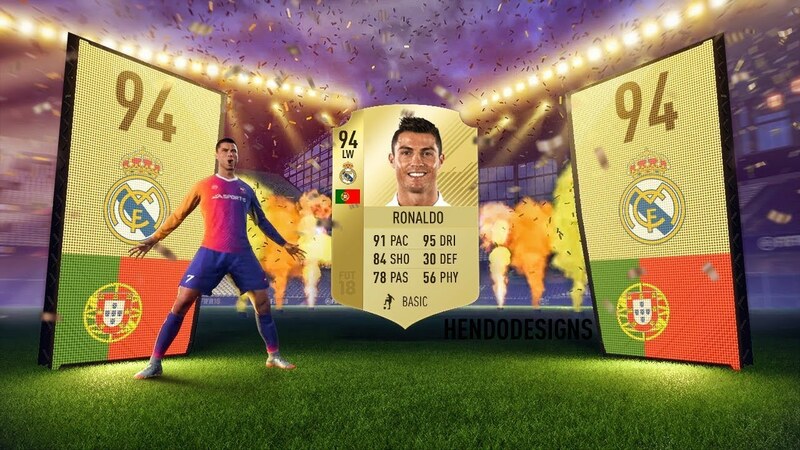 Not only is FUT the most popular game mode in FIFA, it's also the reason the game has become one of the most popular console games in the world, and found recent success in the emerging esports field. 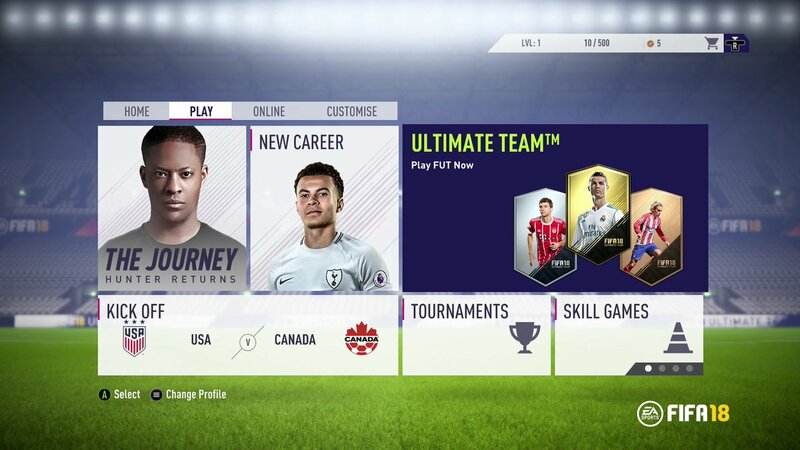 In the past couple years, EA have added an inordinate number of new features to Ultimate Team, and vastly improved it in the process. Although it might seem like a lot to handle for a beginner, never fear. We're here to help you through your first steps. Let’s start with the basics. If you're familiar with head-to-head FIFA, you know how the game is played. You pick a team, your opponent picks a team, and you duke it out. FUT is just another variation of the same game, except here, a lot more is up to you. Each football (or soccer) player in the game is designated an item with a rating based on how good they are in real life, and it's your job to compile teams from these items, called squads, in a formation of your choosing. 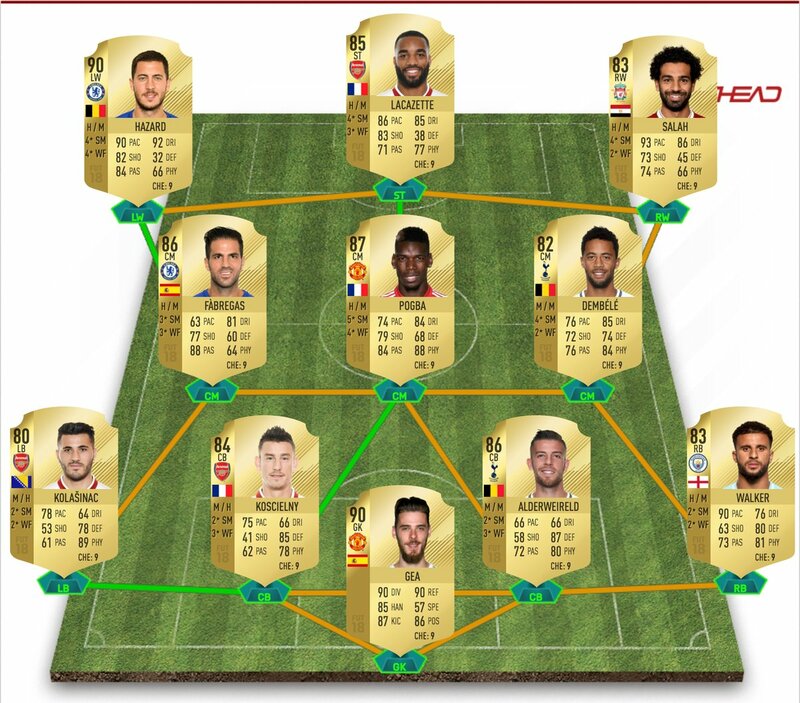 A squad in FUT is like any other starting XI, except you pick the player at every position. How do I make a squad? There are 15,971 player items in FIFA 18, and counting -- so you have more than just a few options. In order to make a squad, first you’ll need enough players for a team. That means you’ll need 11 starting players, and seven players on the bench. 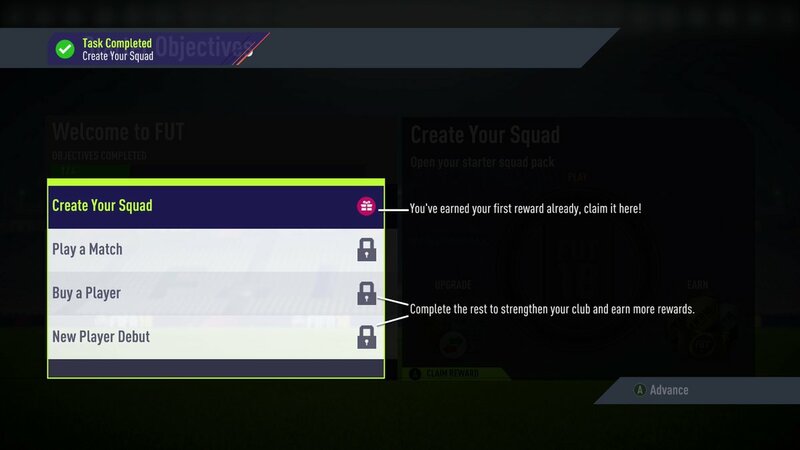 You can also add five ‘reserves’ to your bench, but you don’t need any reserves to enter a game and you won’t be able to sub them once you’re playing. As you can see, players from a bunch of different Premier League teams are in this squad. So you don’t have to stick to just one team’s players -- you have the freedom to choose. You might wondering why they’re all specifically from the same league, but I’ll get to that. 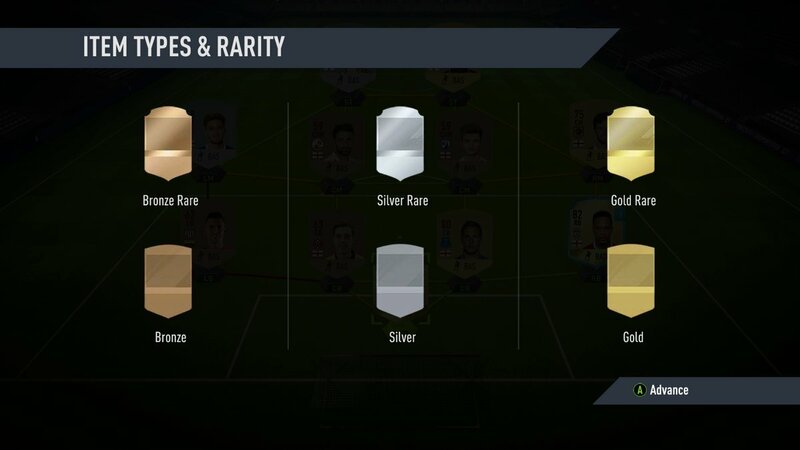 Are there different kinds of FUT items? "Players are made rare because they’re unique or exceptional in specific attributes in comparison to their peers. They could be the Tallest CB in the Belgian League, the only Russian player in the MLS, or have exceptional passing compared to players with similar Overalls." Okay, I’m ready. What do I do first? Good question. The first thing you'll want to do is launch FIFA, and set up an EA account. I recommend doing this because then you’ll be able edit your Ultimate Team squads and lineups in the newly-redesigned web and mobile apps by signing in with that account. It’s really convenient, trust me. 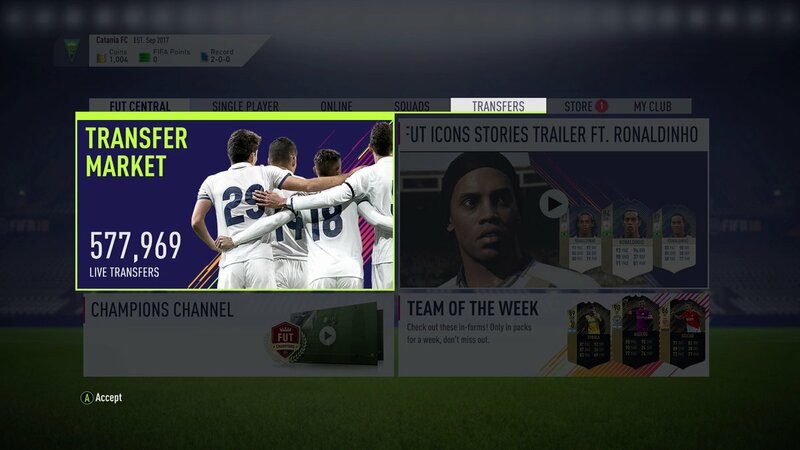 You can enter Ultimate Team right from the main menu, it’s under the ‘Play’ tab. 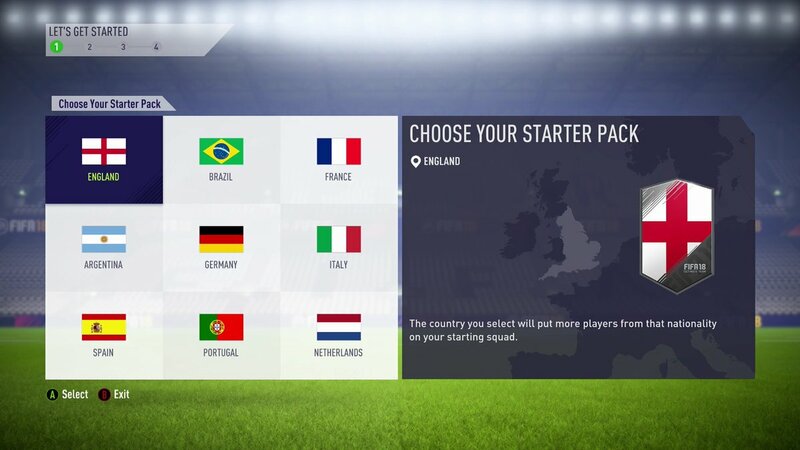 Then, you'll choose your 'Starter Pack' -- well, you'll choose what country you want the bulk of your starter squad players to come from. Futhead's resident market expert FUT Economist did a breakdown of what nation to pick based on your preferences and goals, but fair warning, it is a bit complicated. Nevertheless, check it out if you're so inclined. 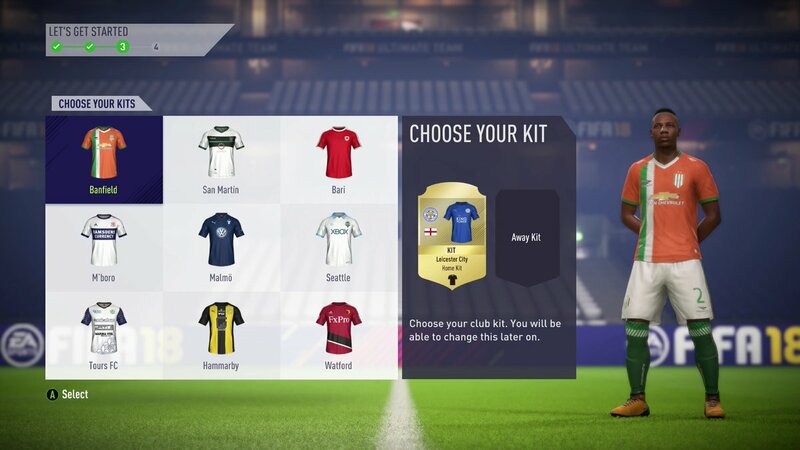 You'll also choose a home and away kit for your team, and you'll choose your team badge. Once you're done all that, you should see this screen. 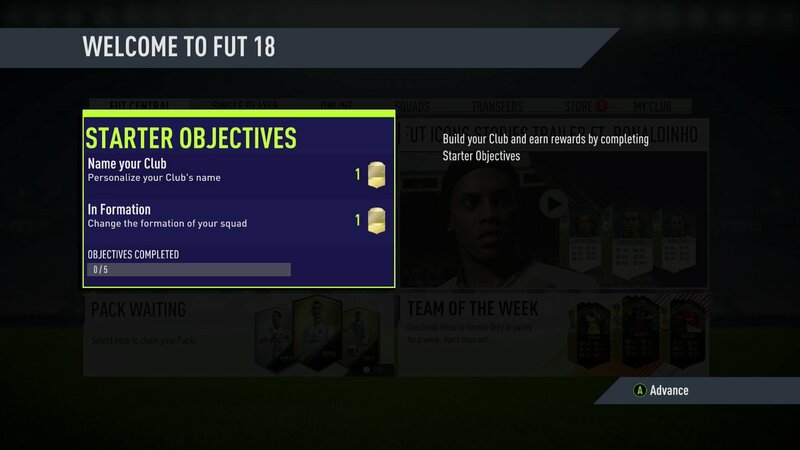 From there, whether or not this is your first time playing Ultimate Team, FIFA will take you through a list of starter tasks the first time you enter the FUT window. Your best bet is to complete these tasks before doing anything else, because there are rewards involved. 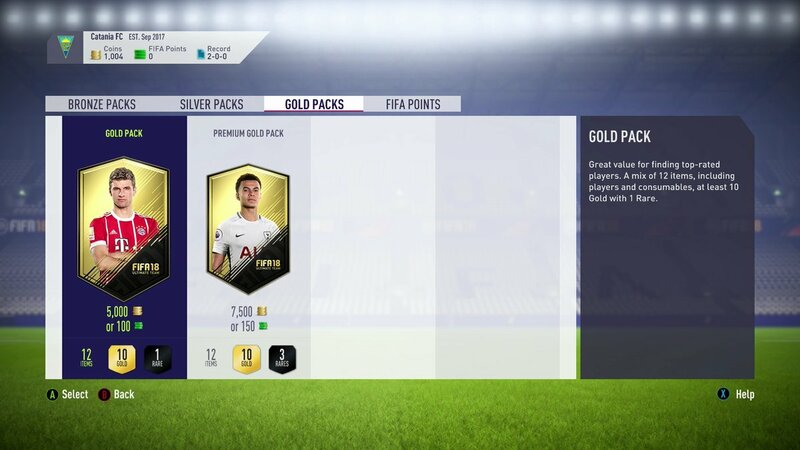 A pack (one of the possible rewards) is a digital bundle of players and other in-game items; much like the physical Topps packs you can buy at your local store, these are also bought with money. They are a bit of a gamble, but if you're lucky, you can land a big-name player in an inexpensive pack. For each task completed, you'll be rewarded in the form of coins, a pack, or something else. Finishing the tasks will put you in good standing to go ahead and play around with your options and even give you some practice with the more nuanced aspects of the game mode, so I recommend finishing these first. 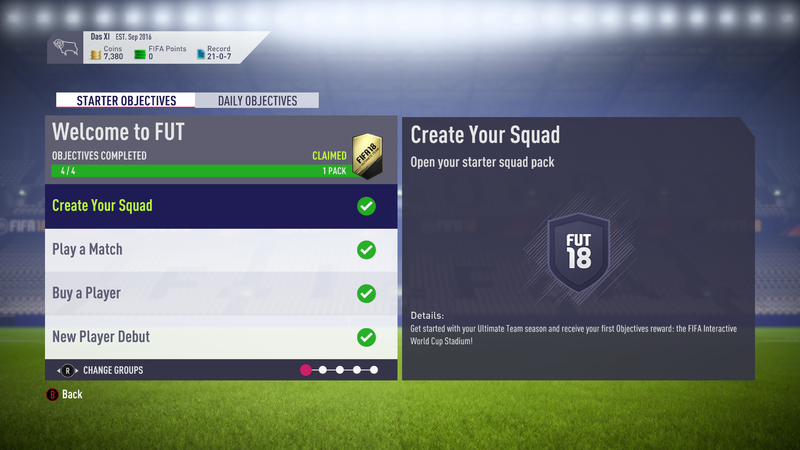 Since you already opened your starter squad pack, you've already completed one of the first objectives. Then, you'll want to get yourself a match. 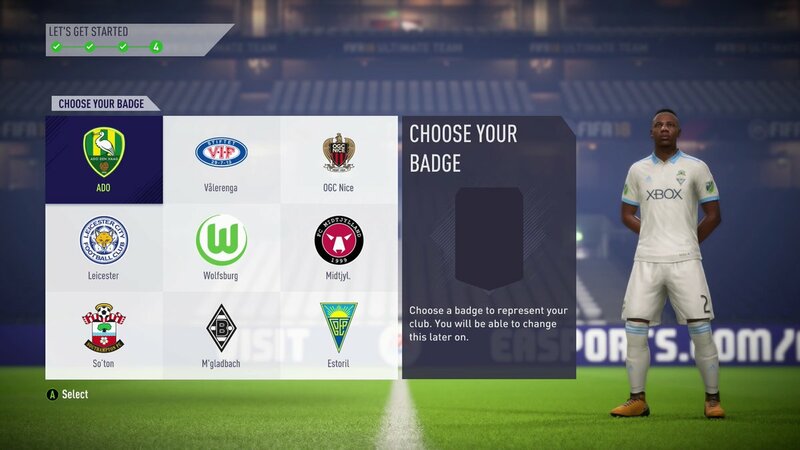 There are a lot of game modes in FUT, which we'll get to, but you should play your first match in 'Single-Player Seasons,' against the computer's AI. Don't bother playing against other online players just yet -- it's likely too challenging with a starter squad and might only discourage you. 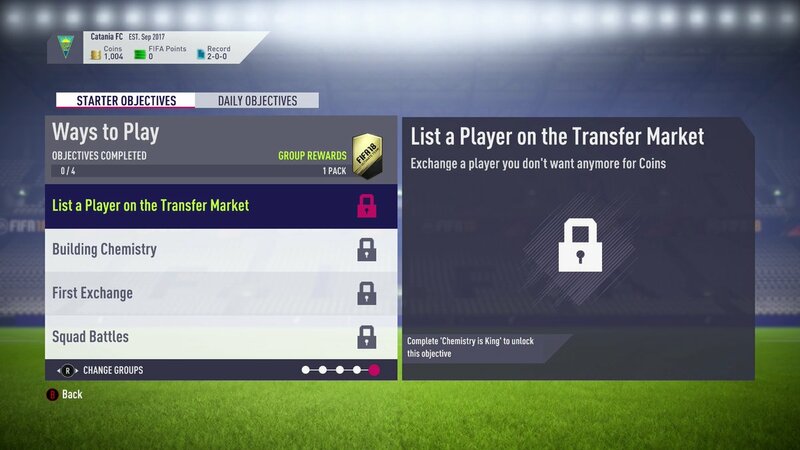 You'll earn coins, a form of in-game currency, for playing your first match, which you can spend on the Transfer Market, a hub all FUT players use to buy and sell players. 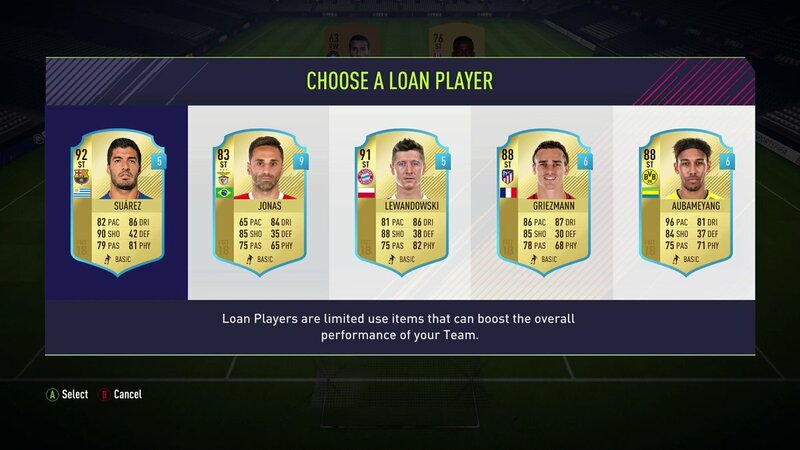 This comes in handy because your next task is to buy a player. For that, head on over to the Transfer Market. When you enter, you'll be able to narrow your search to find the player you were looking for, or to find a player meeting your budget and other specifications. Once you've bought a player you can afford, go ahead and slot him into your team, and play another match in 'Single-Player Seasons.' That'll take care of 'New Player Debut.' And just like that, you've completed your first group of tasks! Don't get too giddy yet, because there are 16 more tasks until you've finished all the starter objectives. From here, you can toggle the LT/L2 button, and use the left stick to switch through different formations. I recommend changing your players to a classic 4-3-3. This formation is great for beginners, because you'll be able to improve your overall squad chemistry. Hold on, what is Chemistry in FUT? It's fairly simple to understand, but a little harder in practice. Here are the basics. 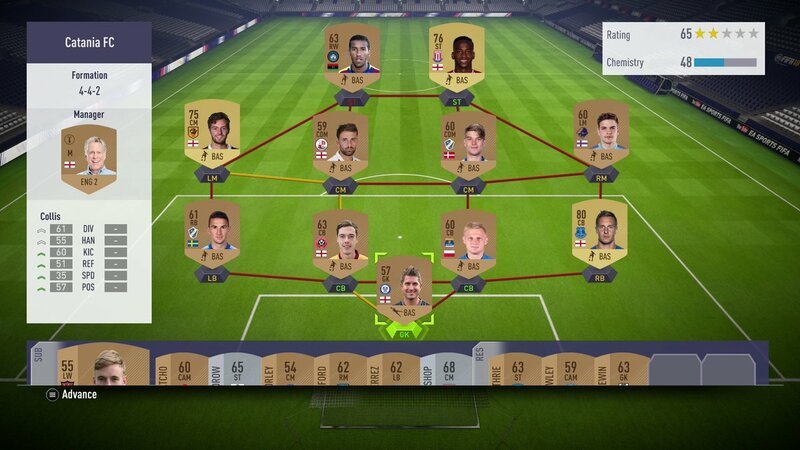 To get chemistry, the player must be slotted in at their natural position (the one that corresponds to their card), be in either the same league, or have the same nationality with other players in your squad, most notably the ones close to them in the formation you choose to use. 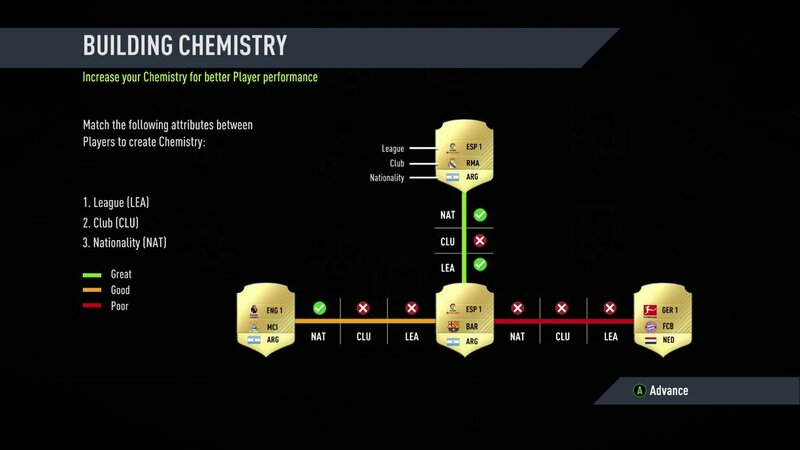 If you're still a little confused, EA did an informative video on chemistry a couple years ago for FIFA 16, and most of the same rules apply. You can check it out here. Okay, so you've changed your squad's formation once. You can check off that task, and revert back to a 4-4-2 if you like, or you can continue with the new formation you chose. The next task is 'Getting Fit' which requires you to apply a fitness consumable to a player (restore their stamina, basically). You may be wondering what a consumable is. A consumable is used to either heal your player from injuries sustained while playing FUT, replenish their fitness, or extend their club contract (how many matches they can play for your club). The last task in this group is to 'Play a Single-player match,' which you should've already done if you followed our suggestion! The next task asks you to improve your squad chemistry, by establishing a chemistry link between two players. Since you picked a country for your starter pack, this should be easy. Just move two players from the same country or same league next to each other.  Then, use a contract consumable to extend a player's club contract. You can buy one off the transfer market, and that'll knock out two birds with one stone. Finally, you'll want to attempt the 'Team of the Week' challenge. 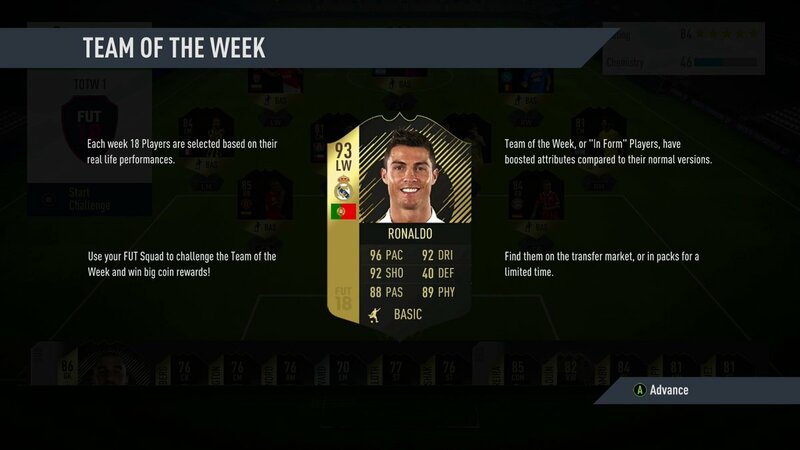 For this, you'll play the current TOTW in a single-player match. Winning this challenge has decent coin rewards, but it's probably not worth doing every week. Your time is best spent elsewhere. Okay, so here are the eight remaining tasks for the starter objectives. Based on your FUT knowledge at this point, you should be able to complete the rest on your own. And once I finish these, I can buy Ronaldo or Messi? Hold your horses. First off, the best players in the game, like the world's best, are very hard to acquire. You would need an immense amount of in-game currency to buy them. Consumables, which I explained earlier. 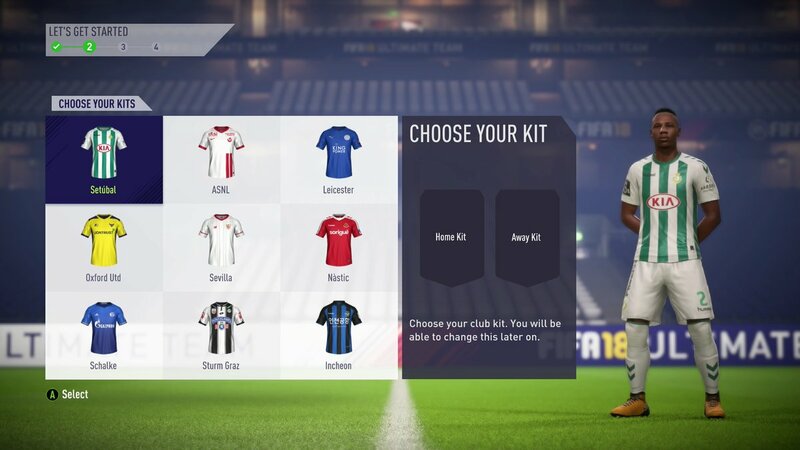 Club items, which can be new uniforms (kits) for your club, a new logo or team badge, and even a new home stadium to play in. Staff items, which include coaches who can improve your overall team chemistry. For example, an Antonio Conte item would help an Italian or Premier League-based team. Training items, which boost a certain base stat (or all base stats) for one game, e.g. your player can get a +10 Pace boost, and they'll have 87 Pace for one game instead of the regular 77. So, the packs are actually very versatile. 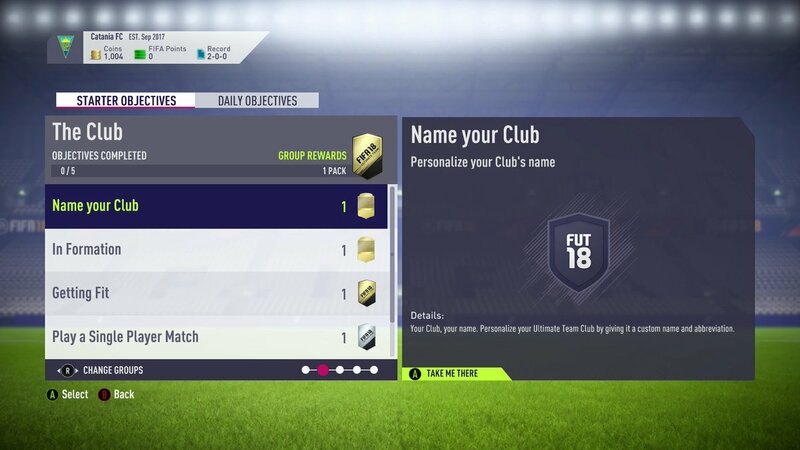 The other way to get new players into your club is to use coins, which are built up by simply playing Ultimate Team, to buy packs or use in the Transfer Market, a hub that all FUT players use to buy and sell players. You can win anywhere between 300 and 500 coins for every game played in Ultimate Team. Wait, do I need to spend a lot to be good at FUT? Short answer: no. Plenty of players have found success in the past without spending money. If you consider yourself to be savvy about things like financial markets, then you're in luck; the FUT Transfer Market is not that dissimilar to a real-life market. 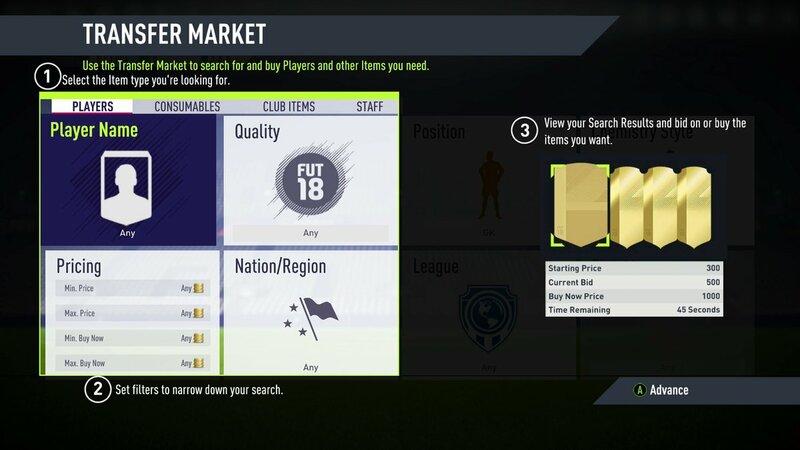 If you have a basic understanding of how valuation work, and you know which players are popular in FUT, then you can sell off players for more than their quicksell (discard) value and work your way up. A player like N'Golo Kanté was only an 81-rated Rare Gold card at the start of the FUT 17 cycle, but his value was close to 30,000 coins. So if you remain vigilant, then you'll be successful. Granted, Kanté is an 87-rated beast in FUT 18, so he won't be your diamond-in-the-rough this year, but there are sure to be players that resemble his FUT 17 qualities. Keep an eye out! 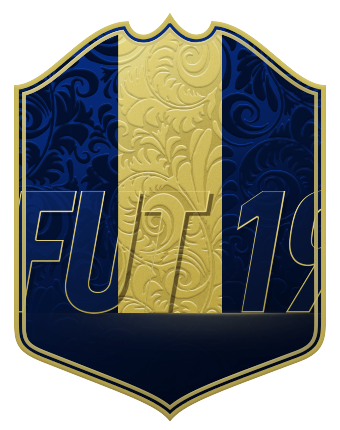 However, if you do have some spare change to throw into FUT and spend on packs, it can definitely help cut corners for you. Either way, to best way to get ahead is to play the game. The more time and effort you put in, the further you'll get. So, is there only one type of FUT pack? Is there only one playable mode in FUT? No, there are a ton of options in FIFA Ultimate Team, especially this year. After being introduced at the start of the FUT 17 cycle, FUT Champions has dethroned Online Seasons as the most popular game mode. 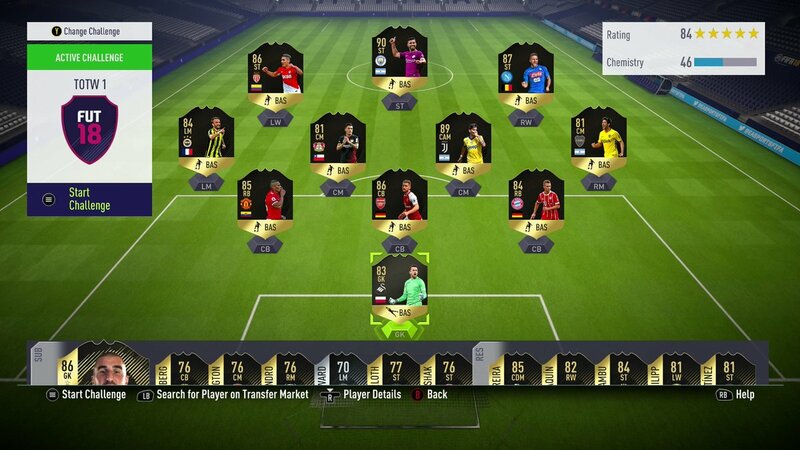 FUT Champions, also called the Weekend League, is a competitive 40-game league played between Friday and Sunday. To qualify, you need to win one of the four-game 'Daily Tournaments' offered between Monday and Thursday. 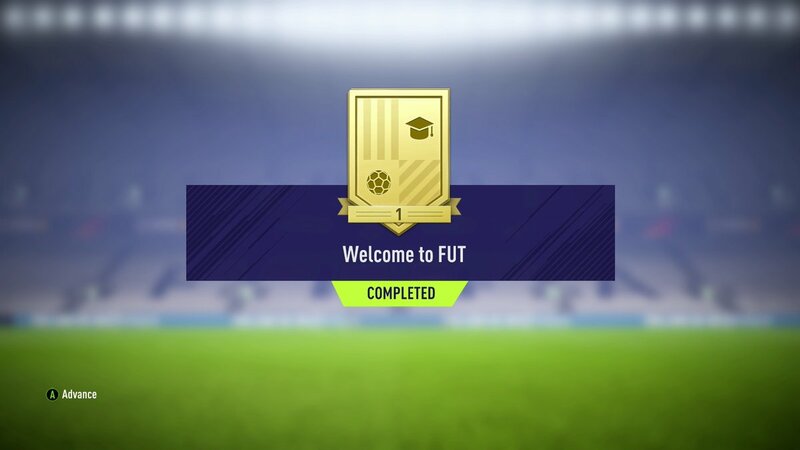 If you qualify by winning one of the tournaments, you play the 40 games against other players who have qualified for FUT Champions. Depending on your standing after the 40 games, you win certain rewards. It's really something. If you want to learn more about that, we have a video on all the new features this year. For those who aren't ready for a 40-game weekend grind, there are other options this year - most notably, Squad Battles. 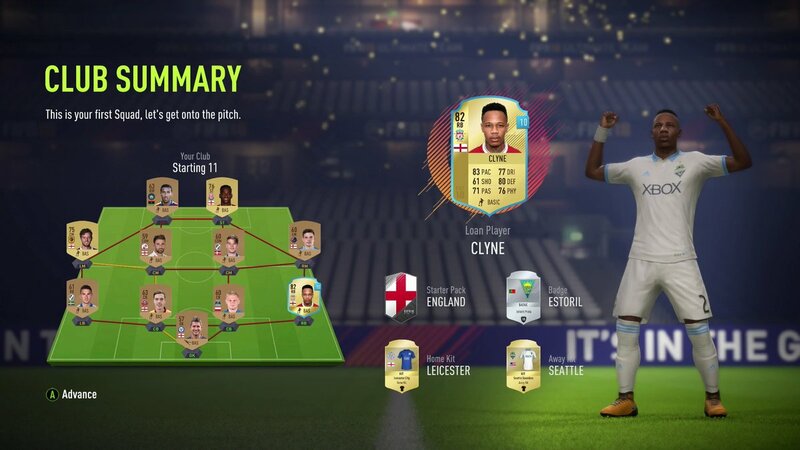 Futhead has an informational video on Squad Battles as well -- it can be found here. Besides that, there are Online and Single-Player Seasons, which were previously considered the premier game modes in FUT. Each Season is 10 games, and you start in Division 10. By winning or drawing, you'll earn a certain number of points from those ten games, and you'll need to reach a specific number to be promoted to Division 9 and higher. Each progressive division gets harder, so you'll need to win more games in higher divisions to get promoted. Gotcha. Now what do I do? Like we said before, regardless of your disposable income, the best way to get ahead in FUT is by playing the game. You'll get better, you'll earn coins, and you'll just have more options to choose from. So go forth and dominate!